So far this week I'm all about simple dinners with minimal prep. I just got to the grocery store this afternoon and I realized that my original meal wasn't going to be ready in time for tonight's dinner. 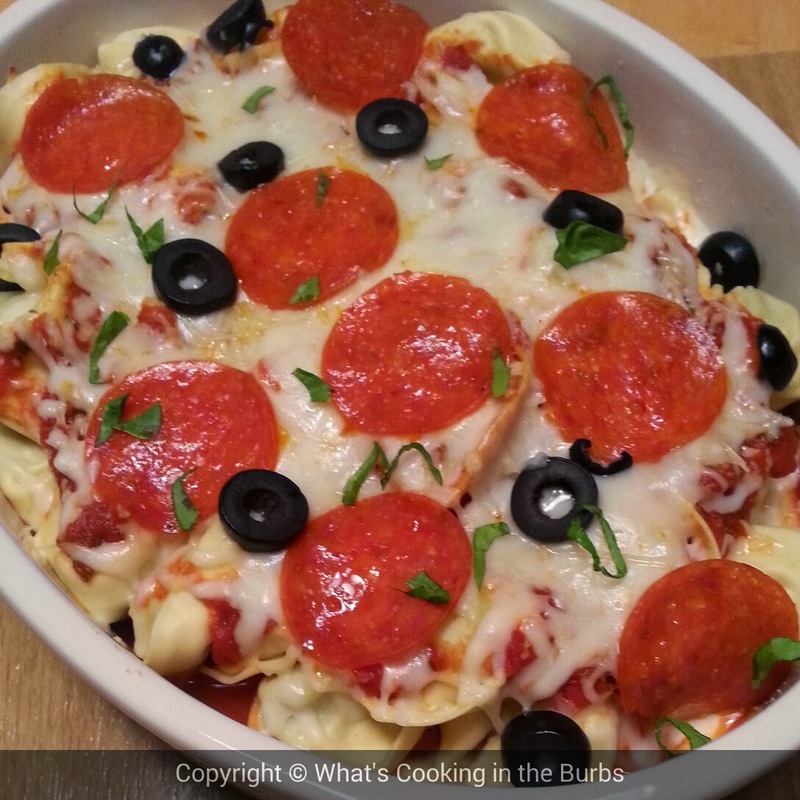 I decided on this Tortellini Pizza Bake instead. So easy and so delicious. I made mine with spinach tortellini. If you have kiddos then this is a great way to incorporate some veggies into the meal. It was a hit with the family. Thanks so much for sharing, Joy! I bet it taste delicious! great post. This sounds and looks so delicious! Thank you for posting!